Iar is a statuesque beauty who joined the ever-growing Peak Support family in March of 2017. Iar lives in a town in the southern part of the Philippines where she enjoys spending her days off from work catching up with friends. Let's get to know Iar better in the second installment of the Peak Support Agent Q&A. 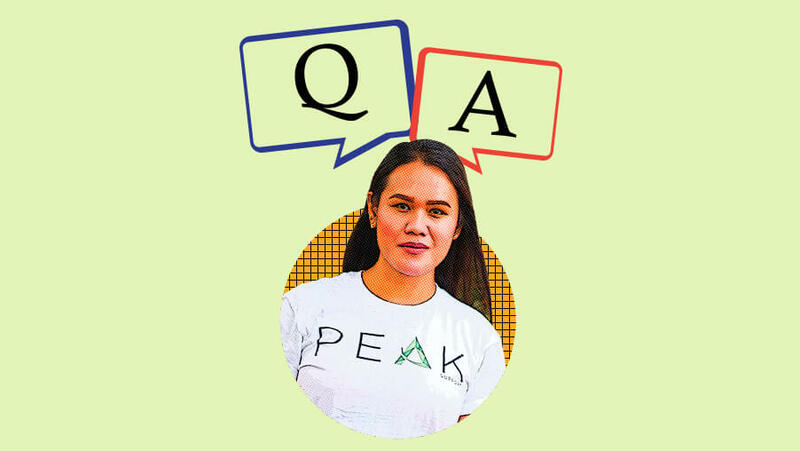 See also our other Agent Q&As with Mimi Abelarde and Mark Pabriaga. Hi! I'm Iar! I'm the friendliest looking girl in town. Making friends is one of the best things in the world because I always want to promote world peace. Life is simple so let's not put too much stress on ourselves, smile always, and let's make this world a better place to live in. What’s the one place in the world that you’d love to go to and why? Maldives, because it's a beautiful island where I can relax and enjoy. Describe your hometown in one word. What’s most important in a relationship? Earlier this year, you went off to spend a few months in a beautiful European country. Why did you still choose to work for Peak Support? Peak Support is my family and there's no letting go. When you were a child, what did you want to become when you grow up? I want to become a real woman. The boat is sinking and you’re about to be stranded on a deserted island. What 3 things will you bring with you? Mobile phone, lipstick and eyebrow liner. Do you prefer to eat out or dine in? If you could eat one dessert only for the rest of your life, what dessert would it be? What’s scarier: a flying cockroach or a running rodent? If you could play in the Olympics, which sport would you want to compete in? What’s the greatest life lesson you’ve learned? What scares you about getting old?